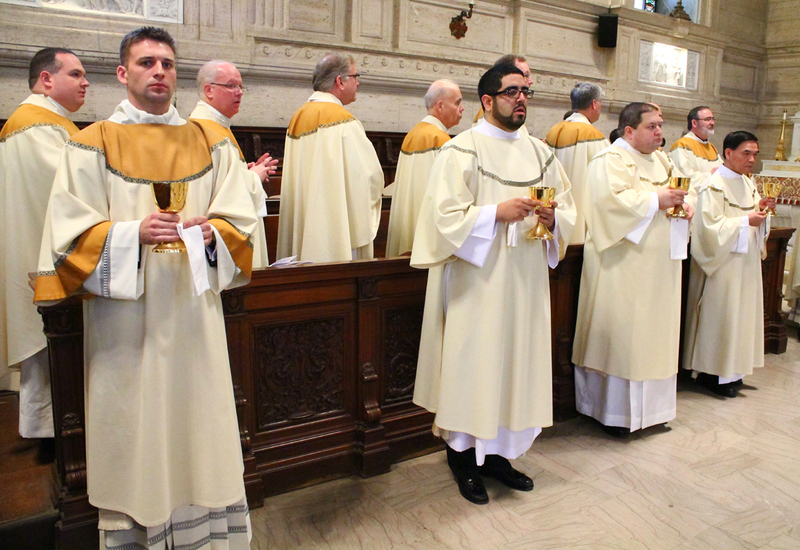 Bishop Timothy Senior was the main celebrant for the Mass on Saturday, May 13 at which he ordained eight men to the transitional diaconate in St. Artin’s Chapel at St. Charles Borromeo Seminary, Wynnewood. The men will continue their studies in the coming academic year at the seminary leading to their anticipated ordination to the priesthood in June 2018. 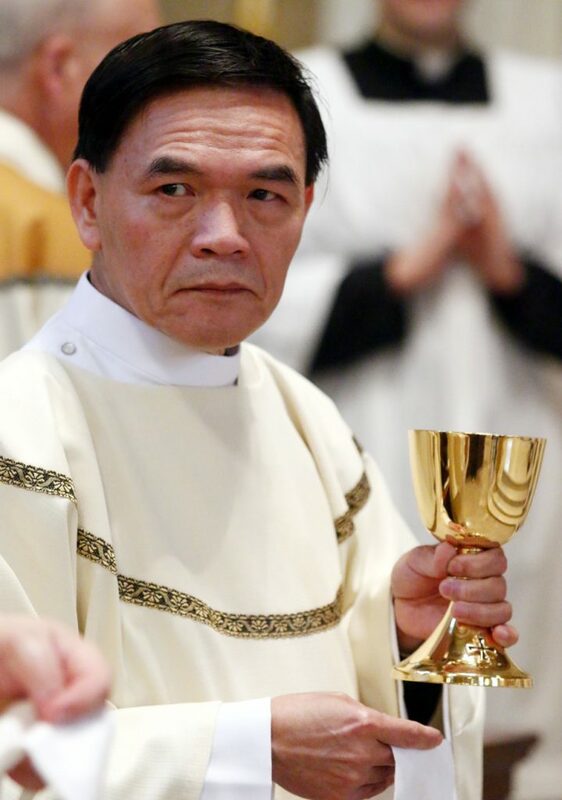 Quy K. Pham, Immaculate Heart of Mary Parish, Philadelphia. 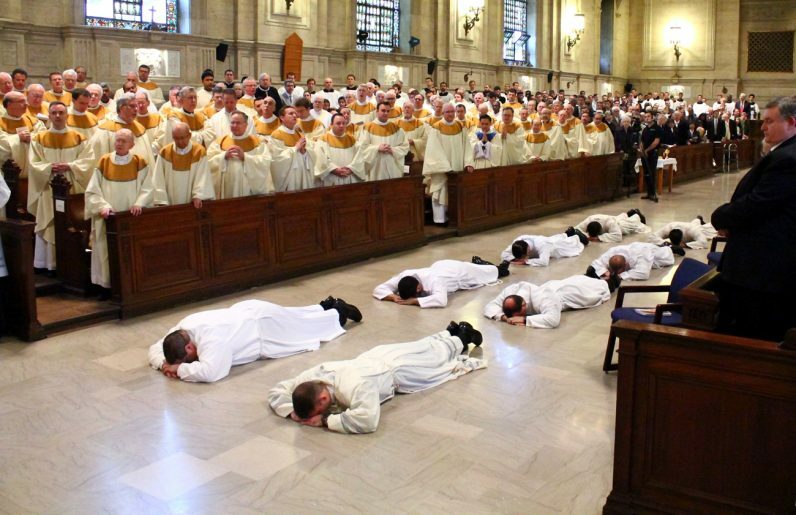 The eight candidates for ordination to the diaconate lie prostrate on the floor of St. Martin’s Chapel during the ordination rite. 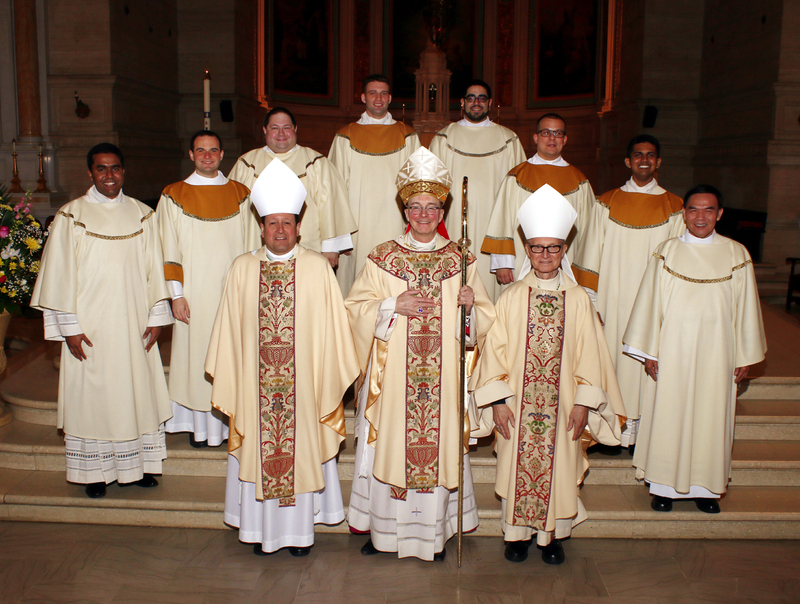 Philadelphia Auxiliary Bishops (from left) John J. McIntyre, Timothy C. Senior (seminary rector) and Edward M. Deliman pose with the 2017 class of transitional deacons. 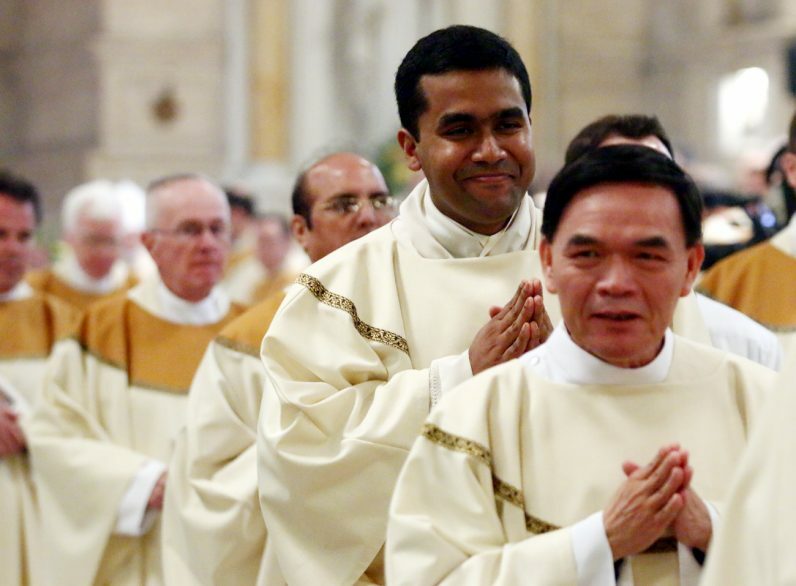 Transitional deacons Quy Pham (right) and Sheron Fernando walk in procession out of St. Martin’s Chapel at the conclusion of the ordination Mass. Rev. 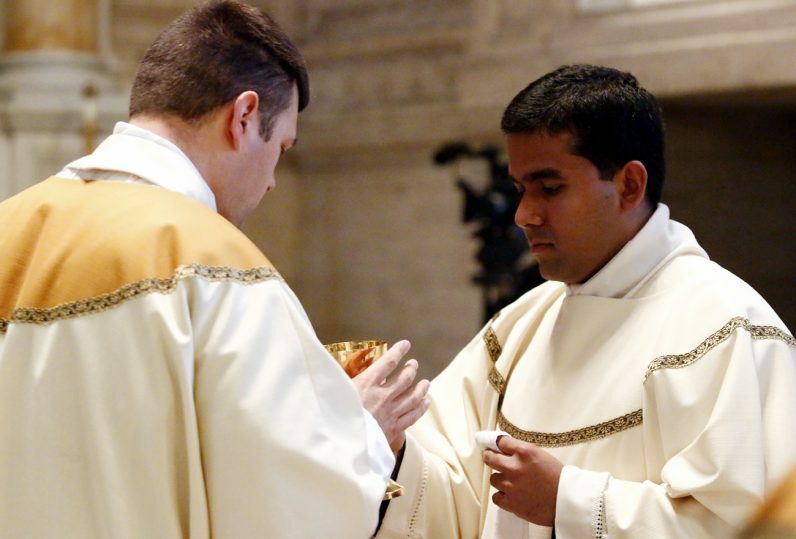 Mr. Shalindra Kotikawatte distributes the Blood of Christ. Rev. 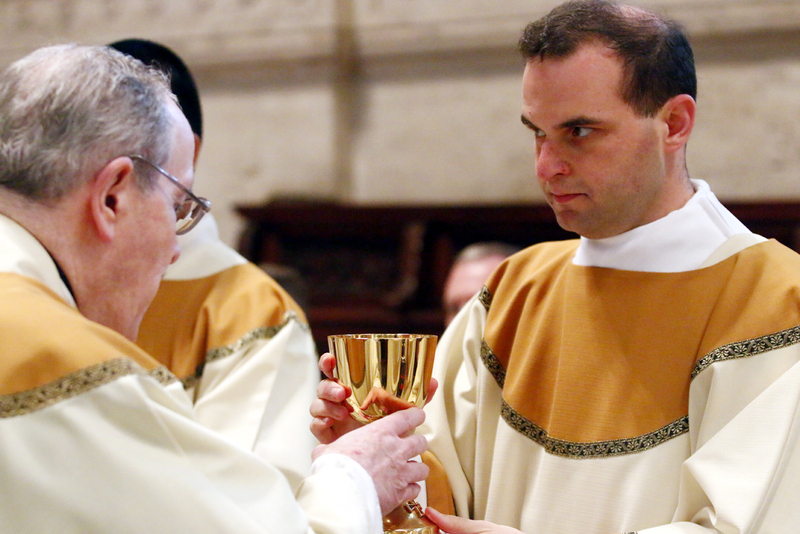 Mr. Eric Baneker distributes the Blood of Christ. 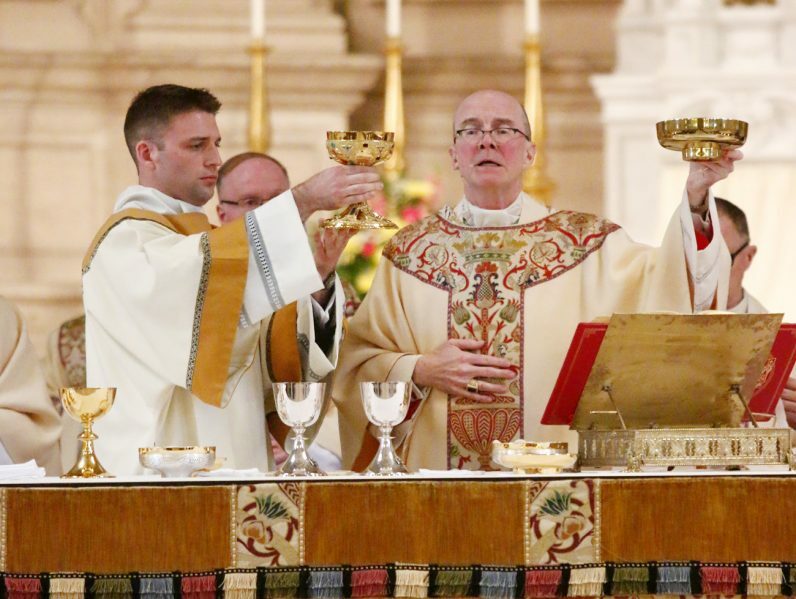 Deacon Kyle Adamczyk (left) elevates the chalice while serving as deacon of the Eucharist. 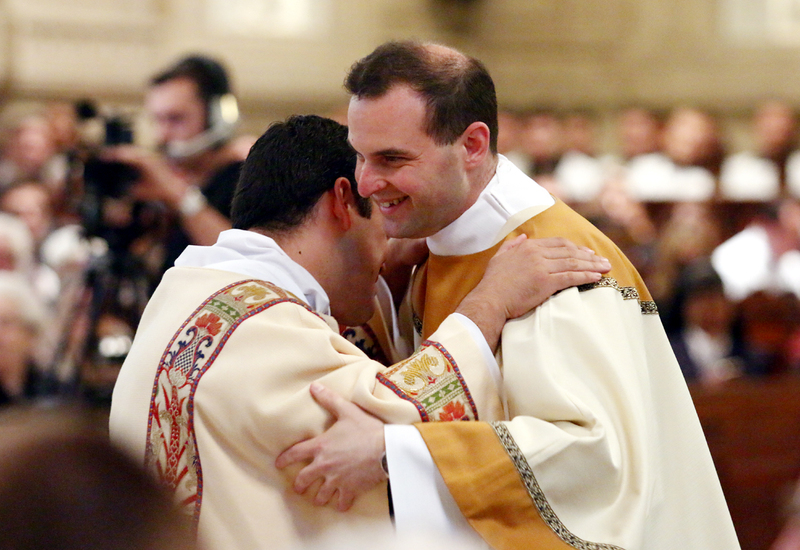 Eric Banecker exchanges a fraternal kiss with a fellow deacon. 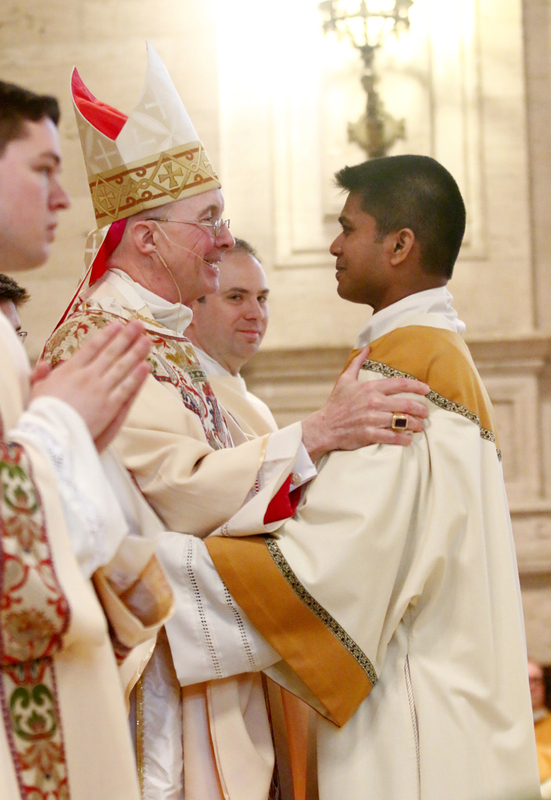 Bishop Timothy Senior exchanges a fraternal kiss with Deacon Sheron Fernando as part of the ordination rite. 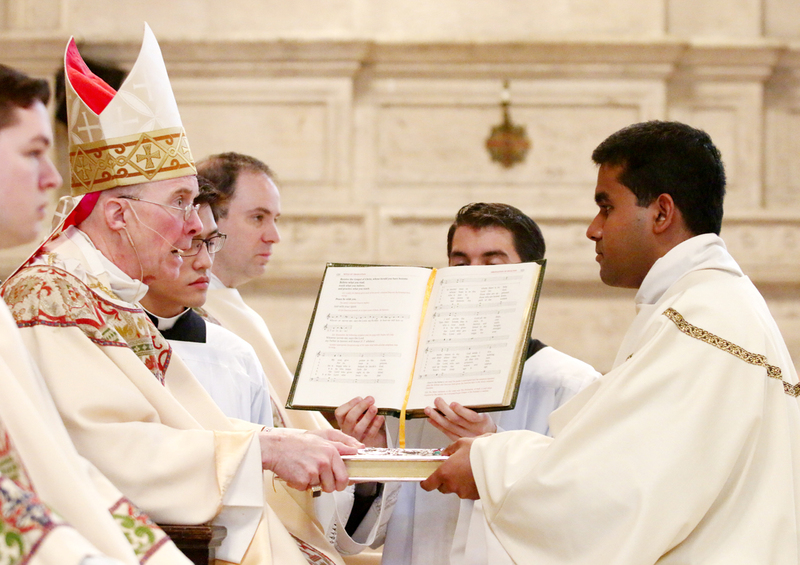 Bishop Timothy Senior hands the Book of Gospels to Shalindra Kotikawatte during his ordination as a transitional deacon. 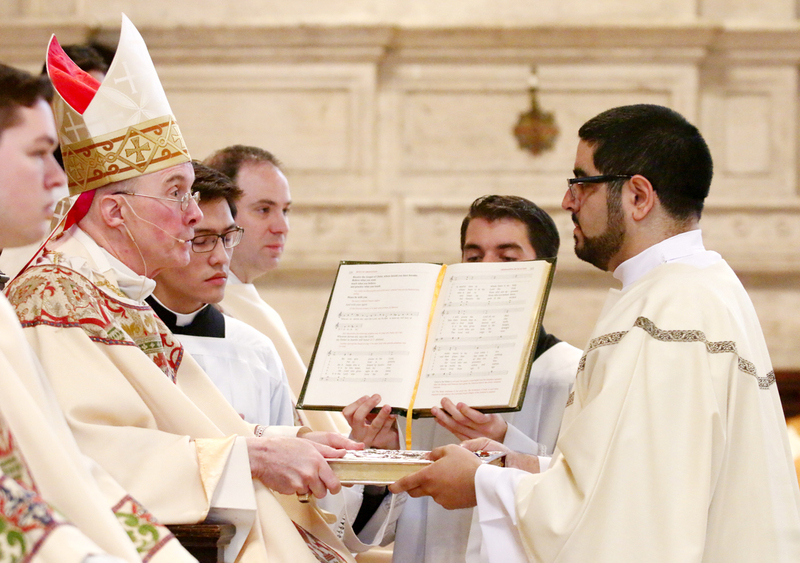 Manual Flores receives the Book of Gospels during his ordination as a transitional deacon. 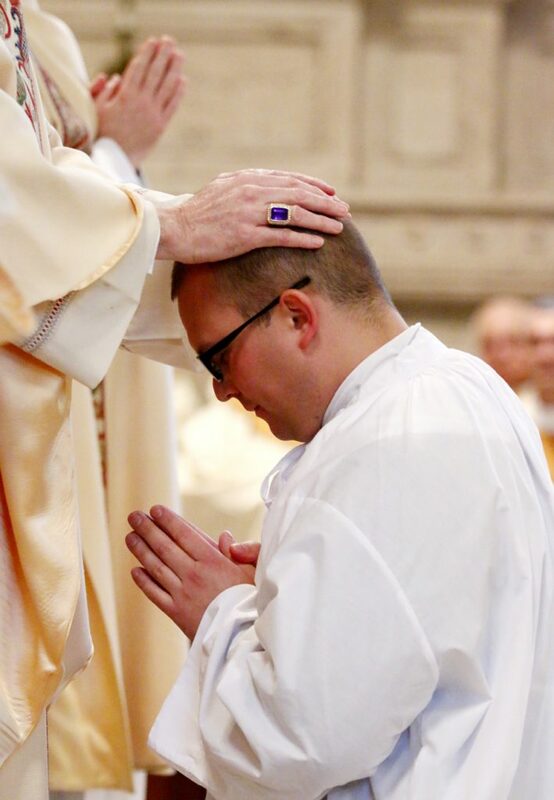 Eric Banecker at his ordination as a transitional deacon in May 2017. 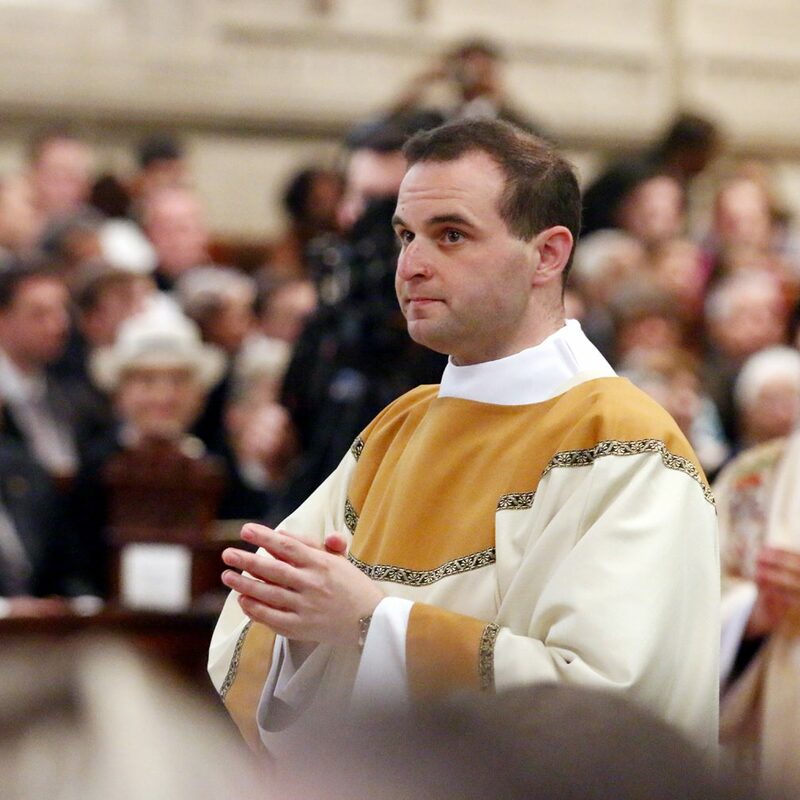 He will be ordained a priest May 19. 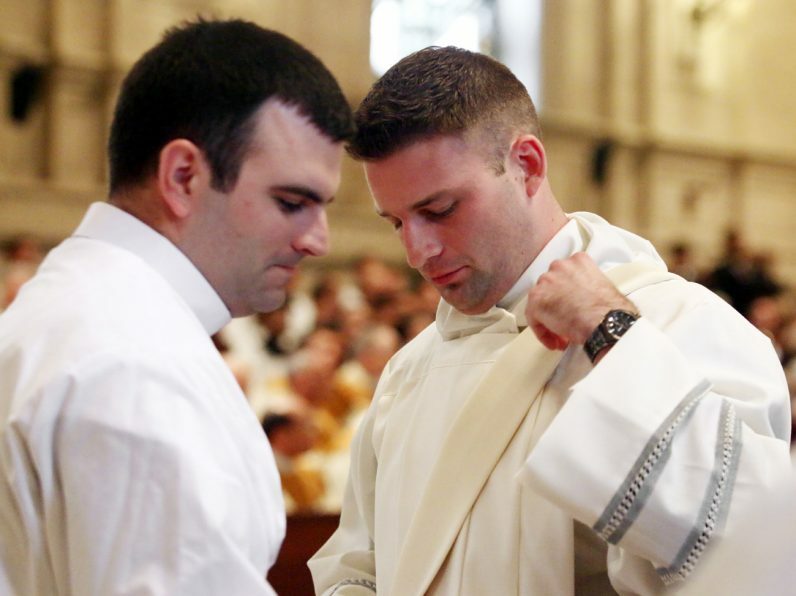 New Transitional Deacon Kyle Adamczyk (right) wears the stole of a deacon for the first time. 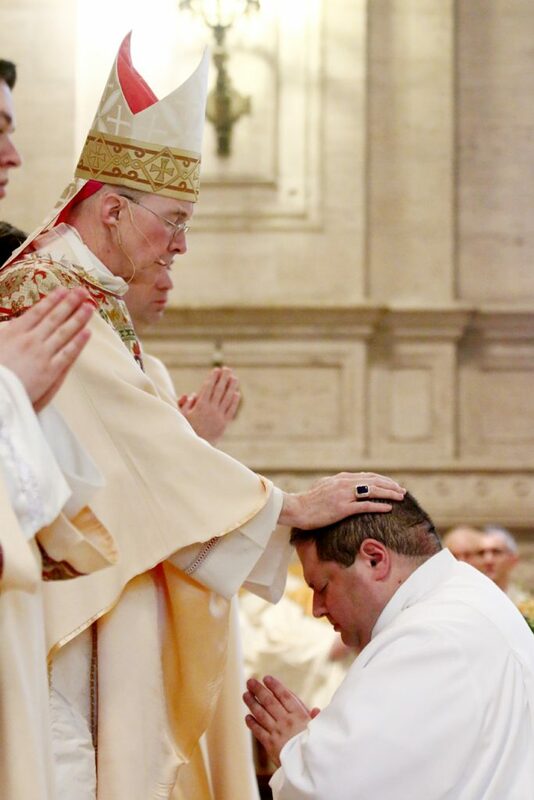 Bishop Timothy Senior lays his hands on Patrick Muka, ordaining him a transitional deacon. 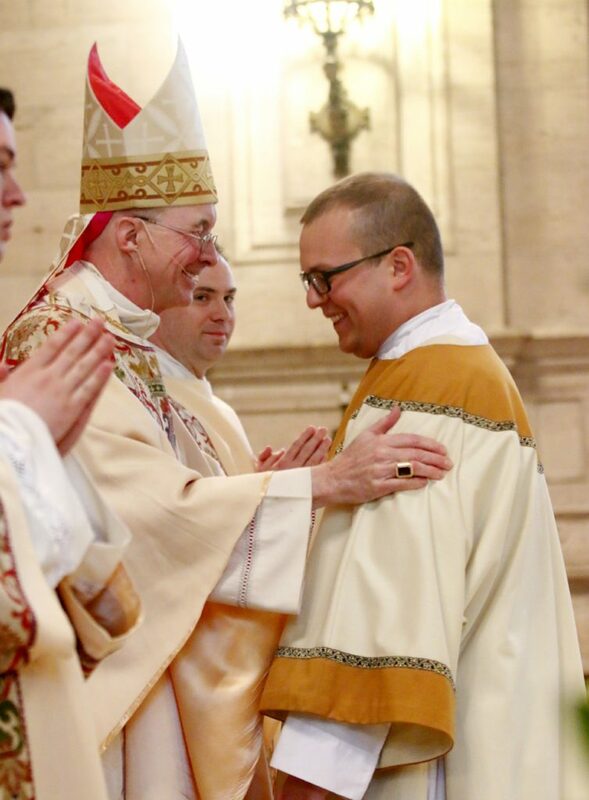 Brandon Artman is ordained a transitional deacon by Bishop Timothy Senior. 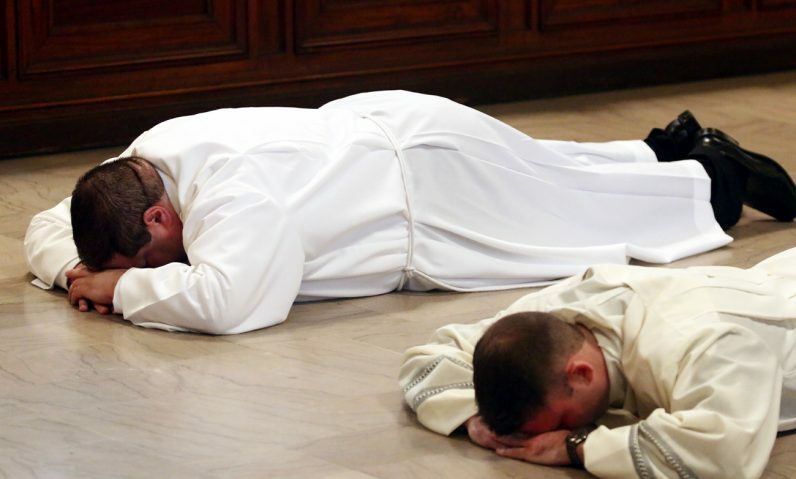 Brandon Artman and Kyle Adamczyk lay prostate on the chapel floor during their ordination Mass.